Our LONDON COLLECTION TV premiere took place in August 1997 on QVC in Düsseldorf, Germany. 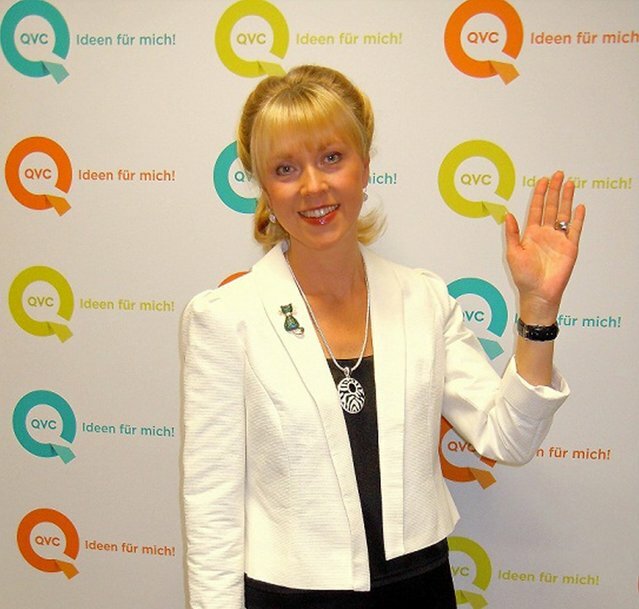 We celebrated a comeback in March 2010 whilst being successful with my other fashion jewellery range DiGBY Bijoux on QVC UK in our fourth year. We had a fantastic comeback on QVC Germany - many old colleagues, customers and fans were delighted. My jewellery shows with Hadiya Hohmann were full of esprit and great fun. We enjoyed working together! I wrote the copy for our trendy video for the comeback myself and chose the costumes and props. A week earlier we had our TV launch on The Shopping Channel in Toronto. Busy times. THE LONDON COLLECTION Designer Fashion Jewellery: High quality, stunning designs at affordable prices. For every age group, every type of woman and any occasion. However, at QVC the focus changed to smaller Pavé crystals and lots of cute animal motifs. 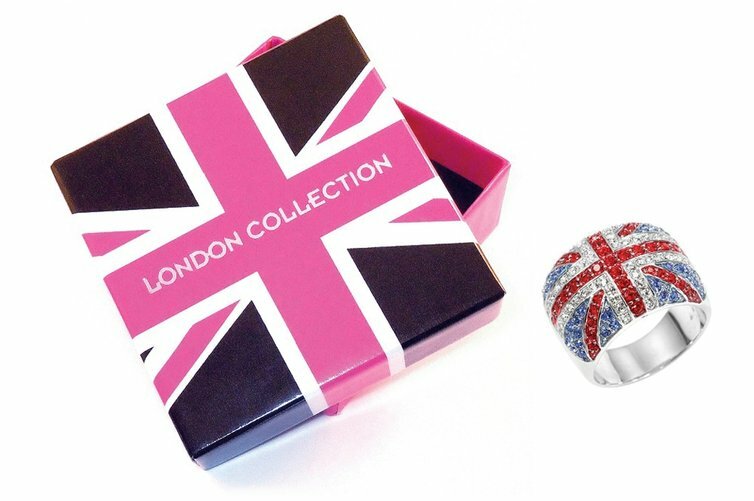 For our QVC comeback we had impressive new jewellery boxes - Best of British! London postcards. There was also an interesting article in the QVC INSIDER customer magazine with a fun competition. This is me in the so-called “Green Room” at QVC after one of our TV shows with my trays of show samples and props. I was always well prepared which helped to make things go smoothly on live TV. Our jewellery buyers suggested I meet with Désirée Nick when she visited her son in London. She liked my designs very much so for her I created a new collection with glamorous crystal pearls from Swarovski. I got to know the dynamic ZSISKA team when I visited a jewellery exhibition in Bangkok. My partner and I loved the funky colourful collection and I would have loved to present this trendy fashion jewellery range on TV. 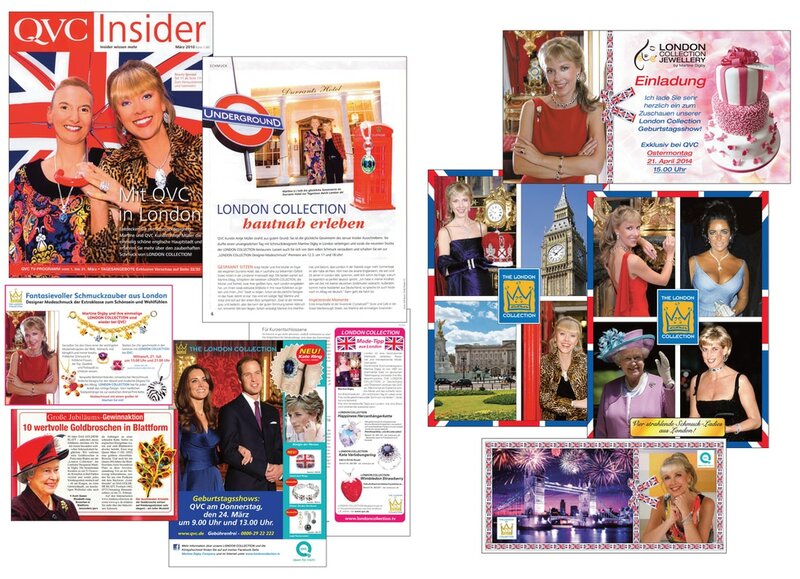 THE LONDON COLLECTION was on QVC Germany from 1997 to 2000 and then again from 2010 to 2014. It was a very interesting time.